The Hollywood Reporter was the first to report on the news. According to their reports, Watanabe will join the film as a character created specifically for the film. He will play Detective Yoshida. In addition to Reynolds, he will be joining Jurassic World: Fallen Kingdom actor Justice Smith, and Big Little Lies actress Kathryn Newton. 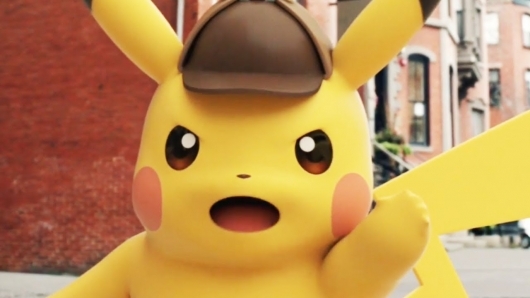 Detective Pikachu is based on the video game name of the same name, in which the player joins Detective Pikachu to solve a variety of cases that plague the city. The plot itself is somewhat shrouded in mystery, but the vague details that were given say the film will revolve around Smith’s character’s kidnapped father, which forces the lead to team up with Pikachu in order to find him. The film, directed by Rob Letterman (Goosebumps), will start shooting in London this month. Nicole Perlman (Guardians of the Galaxy, Captain Marvel) and Alex Hirsch (Gravity Falls) wrote the script with Eric Pearson and Tom McCarthy completing rewrites to give it a polish. It should be fun to see how this film will turn out. Watanabe’s character could be a great contrast to Reynold’s character, with Reynolds taking on the reckless, doesn’t play by the rules detective and Watanabe is the by the rules detective. It’s not clear if Watanabe will play a human character or if he will play another Pokemon detective. But I really hope that we get to see the two together a lot in this movie because I bet their chemistry would be amazing. The thing I am trying to wrap my head around is the fact that this will be a live-action adaptation of Pokemon. Nearly all of the Pokemon films have been animated, and most have gone directly to video release. Detective Pikachu will hit theaters on May 10, 2019.